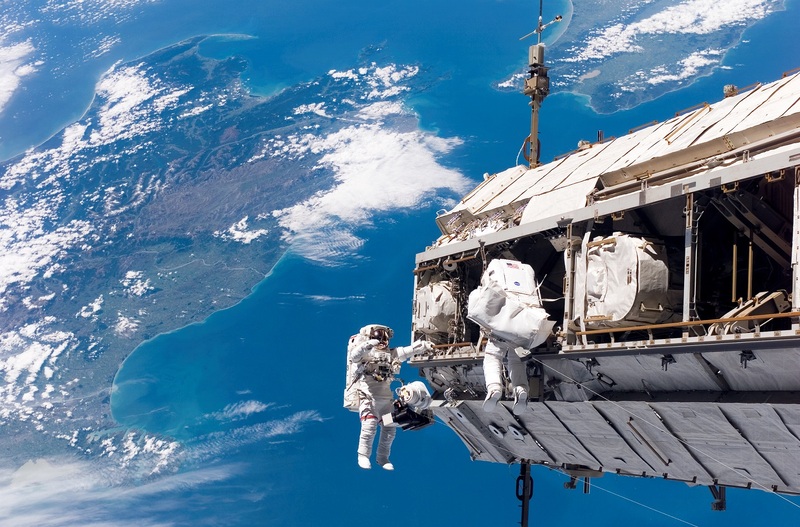 Imagine, for a moment, that you are an astronaut at the International Space Station (ISS). You are working on some wires during an Extravehicular Activity (EVA, also known as spacewalk), when you notice something strange: the feeling of liquid accumulating around your neck. It isn’t sweat, and it isn’t drinking water. The leak comes from somewhere else. Even worse, you realize that the quantity of water is increasing. After communicating with ground, you are told to go back to the space station as soon as possible. While doing so, water accumulates around your ears, making communication more difficult. Then, a bigger bubble forms around your eyes, blinding you. (Remember that liquid in zero-g forms bubbles). While you’re making your way back to the airlock, another bubble covers your nose – forcing you to breathe through your mouth. Time is precious now: you have to get back to the airlock fast, hoping that you will be able to breathe until it is pressurized and you can open your helmet. The whole pressurization procedure can take up to several minutes. Honestly, how would you feel in this situation? How would you react? About two weeks ago, NASA issued a press release stating that it was seeking candidates for a new generation of astronauts. This has prompted public debate about the requirements and the possibility to become and astronaut. This article is a short thought about what I believe is the most crucial requirement for any would-be astronaut. It is something that seems very obvious once somebody has brought it to your attention, but something that we normally wouldn’t consider, since it is not explicitly written either in the ESA or NASA requirements. If you are in the situation I described at the beginning of the article, you would need to have nerves of steel and keep your head cool – panic would be the most dangerous feeling in this situation. As you may already have realized from the beginning of the article, this was a real incident that happened to Luca Parmitano. You can read an impressive, spine-chilling firsthand account of what happened here. However, saying that tranquility is necessary for an astronaut is hardly any news. After all, astronauts’ “nerves of steel” are proverbial – that is even one of the main topics in Tom Wolfe’s “The Right Stuff” (a literary portrait of the first Mercury astronauts). What I really find revealing is that having a calm personality is probably the most important individual requirement for an aspiring astronaut. Even if astronauts go through an extensive training program after selection to get them familiarized with any situation that could arise, there is a limit of what training can achieve – a limit that is probably higher for cool-headed people.